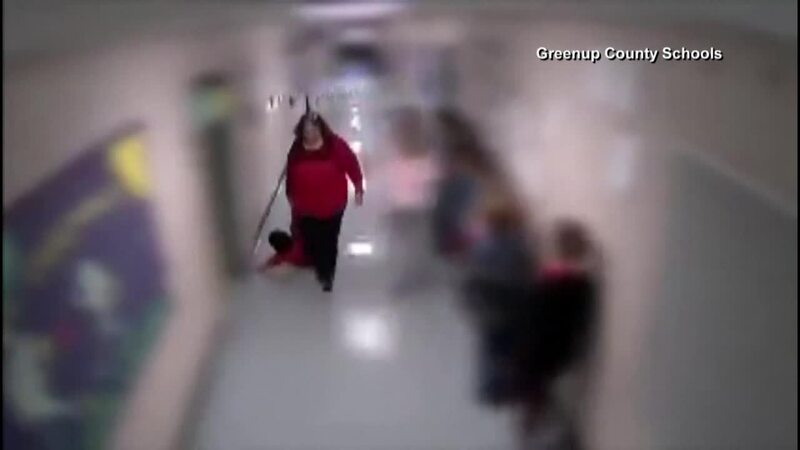 GREENUP, Ky. (AP) — Kentucky State Police say a teacher seen on video dragging an elementary student has been charged with misdemeanor assault. Police Trooper David Boarman tells the Lexington Herald-Leader that Greenup County teacher Trina Abrams was the one seen dragging the 9-year-old boy by his wrists in the October video. News outlets report court records say Abrams is set to appear in court Wednesday. Angel Nelson says her son has limited speech, and has been diagnosed with autism and other disorders. She says the dragging sprained her son's wrists. The Greenup County school district says the teacher in question no longer teaches at Wurtland Elementary School. Superintendent Sherry Horsley told WSAZ-TV on Monday that the incident was reported to police, Child Protective Services and the Kentucky Education Professional Standards Board.